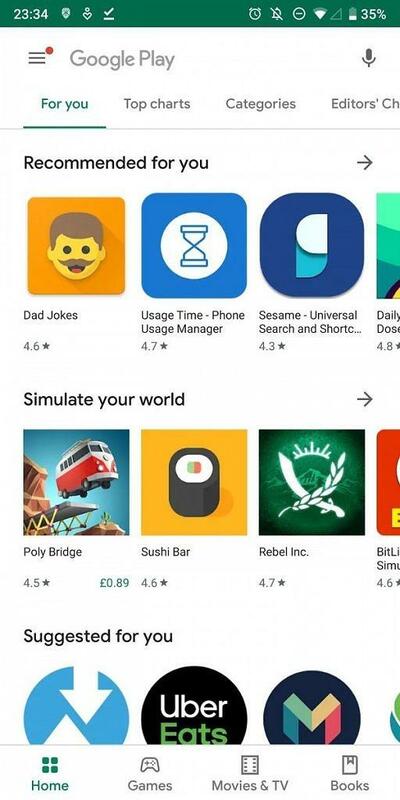 Google has started a material theme redesign for Google apps like Google Drive, Google Photos, Google Drive, Google Calculator, Google Keep, Google Home, Project Fi, Files, Google Calendar and more. 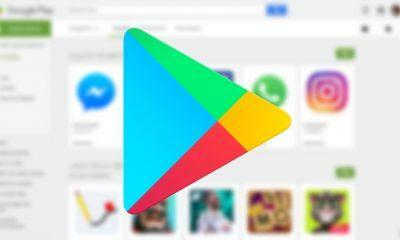 The latest app to join this list of apps is the Google Play Store, but there’s more to the story as developers over at XDA has discovered some update related strings within the app which will give Android users ability to install Apex Packages directly from Play Store. 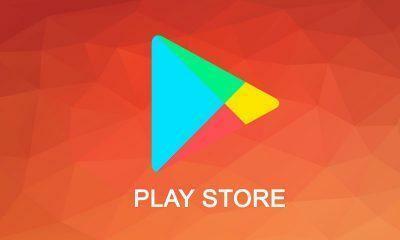 The latest Google Play Store v14.5.52 comes with a more defined material designed with tons of UI changes. The most noticeable difference is the all new bottom bar that now contains tabs for Home, Games, Movies & TV and Books sections for easier navigation. The icons are now hollow and monochrome, changing to their assigned accent color when that particular tab is selected. The Search bar comes with rounded corners, and the homepage gets rid of the nested tabs and icons for categories. There are rounded square icons on the homepage now which have been uniformly enforced. In addition to these UI changes, 9to5Google and developers over at XDA have spotted certain strings, which are being interpreted to support initiating full Android system updates from Google Play Store. Developers over at XDA are presuming that these strings have been introduced in the code to provide support for the all-new Apex packages that are already live in Android Q. 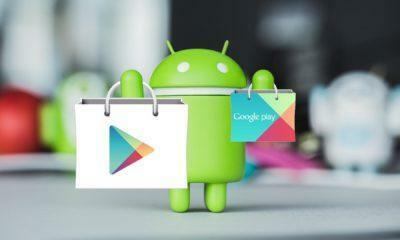 There are currently six APEX packages within Android Q, and OEMs will have to use these packages soon if some sources are to be believed therefore leading to the fact that the system update that is being referred to in these strings in the code is likely there for updating APEX modules, which are indeed system libraries, directly from the Play Store.